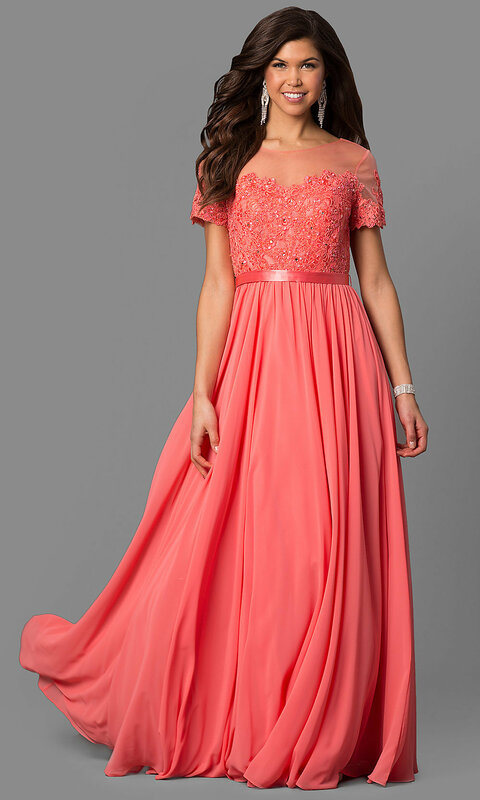 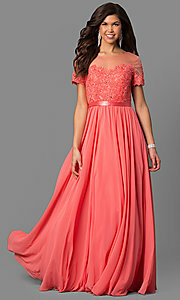 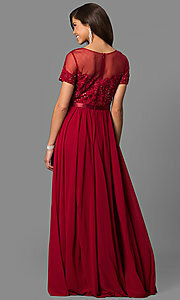 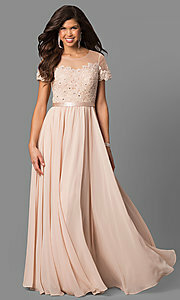 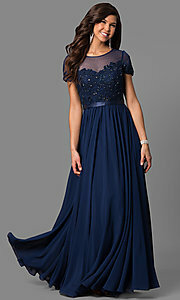 Here's a long prom dress with classic style and sparkling details. Sequined lace shimmers on the sheer-illusion bodice of this short-sleeved formal dress. Under $200, this affordable long dress features a flowing floor-length chiffon skirt that is gathered at the natural waistline and flares away from the hips for a fabulous silhouette. 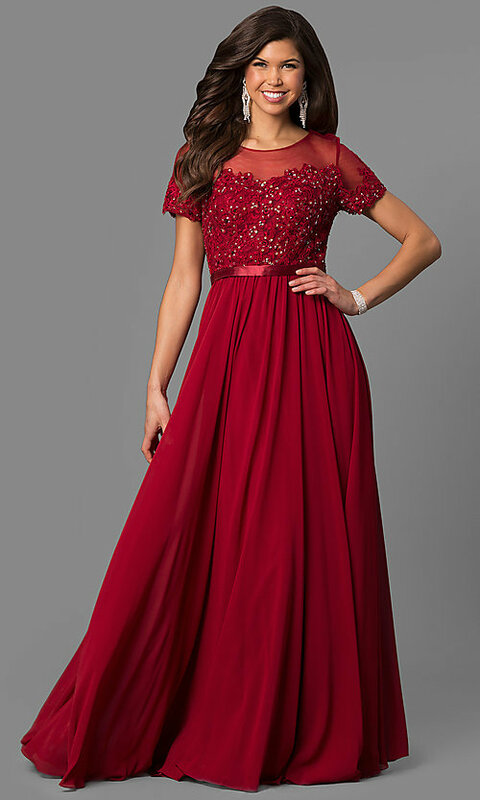 Available in misses and plus sizes for prom or formals, this beautiful long prom dress is sure to flatter the figure while dazzling under the lights.